When is someone ready to participate in Christian-Muslim dialogue? Is this the sole responsibility of adults or the spiritually mature (however one might define that), or is it preferable for it to be left to faith leaders or academics? I have been running Christian-Muslim dialogue events for teenagers since 2000, all the while working as director of Youth Encounter for Scripture Union England and Wales, an evangelical mission agency. Consequently, the questions with which this journal wrestles have formed the backdrop to my work in developing dialogue with teenagers, along with a serious consideration of the contribution that teenagers might bring and the challenges working with that age group raises in relation to this work. By creating “safe spaces” where everyone feels equal, we facilitate discussions that draw on the participants’ own experiences and beliefs, thus enabling positive and deep conversations. 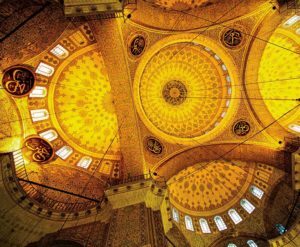 One of the simplest yet most profound questions we ask is, “What’s the best thing about being a Christian or a Muslim?” This unassuming question is rarely asked, yet it encourages discussion about the positive characteristics of one’s own faith rather than a critical deconstruction of the faith of others. Over the 16 years I’ve been working with Muslim young people, I’ve met very few who want to engage in polemical debate, and the few who do only want to ask questions and become defensive when questions are asked of them. The model of dialogue we have developed removes the feelings of defensiveness and creates opportunities for meaningful discussion, one where the Christians have the opportunity to give the reason for the hope they have within them . . . with gentleness and respect (1 Peter 3:15). To facilitate constructive discussion we have developed a series of “Guidelines for Dialogue,” which can be downloaded at http://tiny.cc/yeguide. Over the years, I have encountered many adults who question whether it’s appropriate to involve young people in this work. Such people might be nervous parents, uncertain church leaders, unconvinced evangelists, or interfaith practitioners who are not used to working with young people. The reticence to allow them to enter into dialogue with Muslims comes from two main concerns: first, that they are not strong enough in their own faith and will get confused; second, that they will convert to Islam. Luke 9: 51-56 and John 4, where Jesus takes his disciples into Samaria. Paul also took his young followers into situations many today would consider far too risky for Christian young people (see, for example, Acts 19:29). Alongside these encounters, Jesus (and Paul) spent time alone with his disciples teaching, nurturing, and praying with them. Engagement and withdrawal is the pattern he establishes. Clearly, protecting young people in Christian enclaves until they are ready to face the world runs counter to Jesus’s example. For many adults, entering into dialogue with Muslims feels risky, yet creating the opportunity for Christian young people to meet, build friendships, and share their faith with Muslims fits with Jesus’s pattern for discipleship: engagement accompanied by opportunities for reflection following the encounters. Many of the young Christians we work with have a desire to share their faith with their friends, and some feel under pressure to do this, but many are unsure how to undertake this task amongst their Muslim peers. Not wishing to cause offense or fearing an outcome of fruitless arguments often stifles their desire to witness. This reticence reflects the fact that almost all evangelism or mission training for young people in the U.K. presumes that they will be sharing their faith with secular friends, and doesn’t engage seriously with the multifaith context of many U.K. localities. Most of the evangelism resources consider questions such as “Is there a God?” and propose a spiritual journey that starts from no knowledge of God and moves toward conversion and discipleship. These resources do not equip young people for conversations with peers who are adherents of faiths other than Christianity and who may claim to have found spiritual fulfillment within that faith. By engaging in dialogue, young people find a secure place where they can meet Muslims and be equipped to be faithful to the two commands of loving God and loving their neighbor. The friendships they build and understanding they develop transform their attitudes towards Muslims, and through structured discussion they have opportunity to share their faith in a deep and profound way. Furthermore, it equips them for a different engagement with Muslims outside the formal events that we run. While this kind of work raises frequently asked questions about the connection between dialogue and mission, by taking the faith of young people seriously, it creates the space for them to fully engage in creative and fruitful dialogue. A version of this paper was originally written and presented to the pre-Edinburgh Conference mission consultation on interfaith relations in Bangalore, 17th-19th July 2009. 1This theme is explored in Pete Ward, Growing up Evangelical: Youthwork and the Making of a Subculture (London: SPCK, 1996), and Mark Yaconelli, Contemplative Youth Ministry: Practicing the Presence of Jesus with Young People (London: SPCK, 2006). 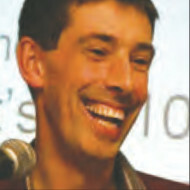 Andrew Smith is director of Youth Encounter for Scripture Union UK, a program that seeks to help Christian young people live out their faith amongst their Muslim friends.